The child custody lawyers at Berry K. Tucker & Associates, Ltd. have over 50 years in handling diverse cases in the Oak Lawn, IL area. We understand that the future and wellbeing of your child is one of the most sensitive issues; therefore, each child custody hearing is taken very seriously. In addition to advocating for you, we will do the same for the child as our arguments focus on the facts, integrity, and overall wellbeing of your child. 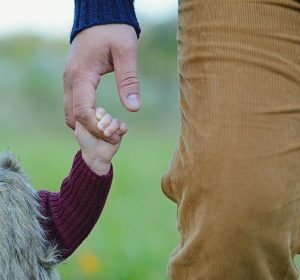 While the term “custody” is no longer used in the law, the new term “parental responsibilities” refers to the overall accommodation for the child’s needs. This includes: spending time with the child, feeding them, caring for them when they are sick, ensuring that they are in school, etc. ; therefore, whether a parent has joint or sole custody, they resume all of these responsibilities while they are with the child. At Berry K. Tucker & Associates, Ltd., our child support lawyers establish their case around this concept when advocating for the parent. We will focus on the details as each case will require proper investigation and research in order to be prepared for all situations. Finally, our child support attorneys will handle the case promptly, providing an active approach to a fair solution to allow you and your child to return to your lives in a timely manner. As our child custody lawyers have years of experience of practicing family law, we will provide you with the knowledge and skills necessary to win your case by following the legal lineage of the family courts. Berry K. Tucker & Associates, Ltd. also remains updated on any changes made to the law during your case, ensuring that we are prepared for each hearing. Although fighting for your child is of the utmost importance, we know that this experience can be both confusing and stressful; however, our attorneys will work with you every step of the way to provide some relief during the process. This will be done by ensuring that you are able to accommodate all of the child’s needs while providing them with a comfortable place to live. In addition, it will be advocated that you are involved with your child’s school, extra-curricular activities, and community. Finally, we will guide you on outlining the inadequacies and deficiencies of the other parent while maintaining your integrity in the case. 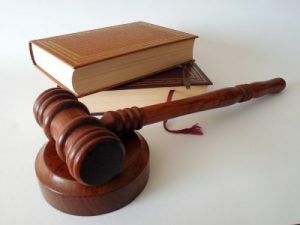 As a result of our established law firm, the child support lawyers at Berry K. Tucker & Associates, Ltd. have won numerous cases using a combined effort of experience, investigation, and dedication to our clients. We have not only advocated the rights of both mothers and fathers, but fought in regards to the child’s future and wellbeing. Whether the outcome has resulted in joint custody, shared parenting, or full custody, our attorneys were able to evaluate each case respectively and establish an agreement that was in the parent and child’s best interest. Finally, as we work aggressively and passionately in all child custody cases, we will create a unique partnership with you in order to guarantee your involvement in the life of your child. If you are experiencing a child custody or child support battle in the Oak Lawn, IL area, do not hesitate to contact Berry K. Tucker & Associates, Ltd. at (708) 425-9530. Our child custody attorneys will work with you to develop an effective that will advocate in your best interest as well as prepare you for all scenarios presented by the other party.